This coin jewelry necklace has two Strong female symbols: The Walking Liberty Lady from the U.S.; and Britannia, the female warrior who symbolizes Great Britain in castanet form on a parachute cord. Parachute cord is tied in an adjustable slip knot for adjusting the length. 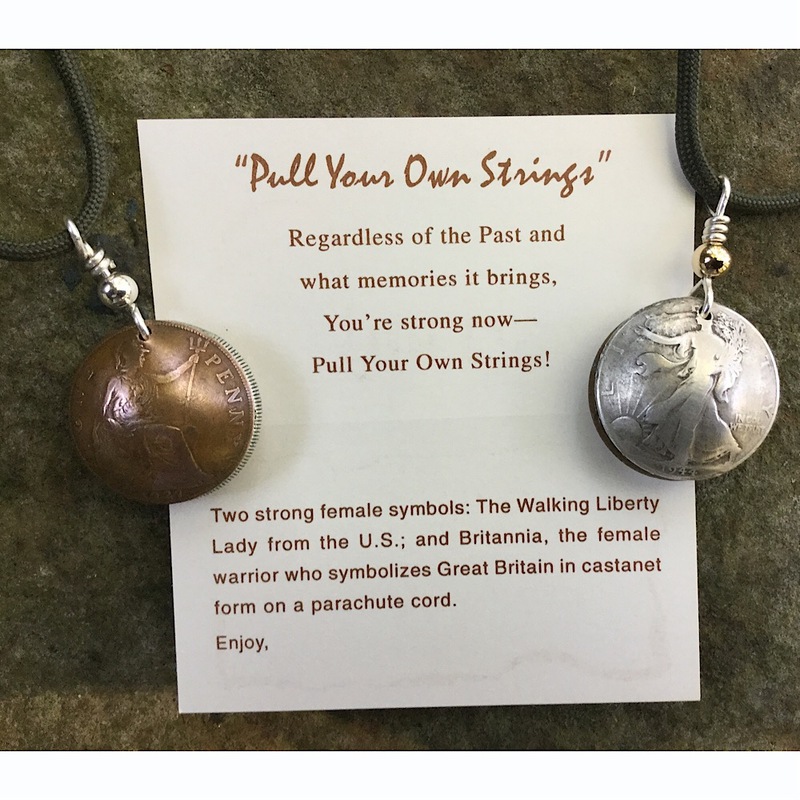 Each handcrafted coin jewelry necklace comes with the "Pull Your Own String" poem card with a place to put who this piece was designed for. Great gift for someone who needs to pull their own strings. Handcrafted in the USA.